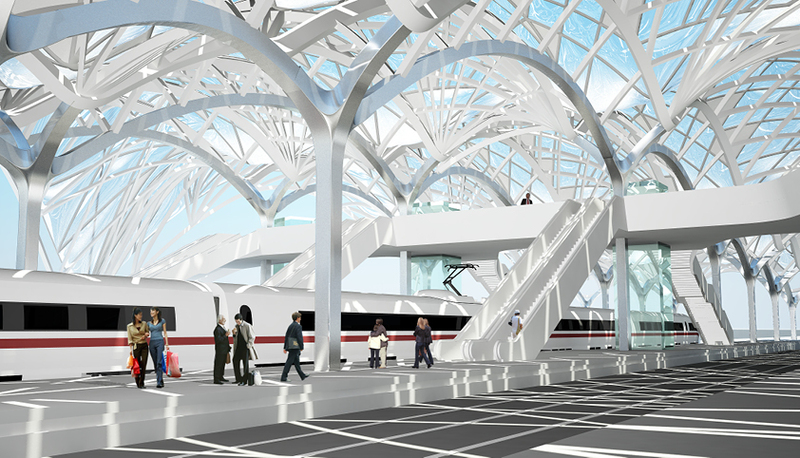 The new design for Bregenz’ train station is based on a catenary system as well as a structural network of geodesic lines. A system of catenary lines are spanned over the existing field of train tracks, building a connecting system of adjacent masonry arches. 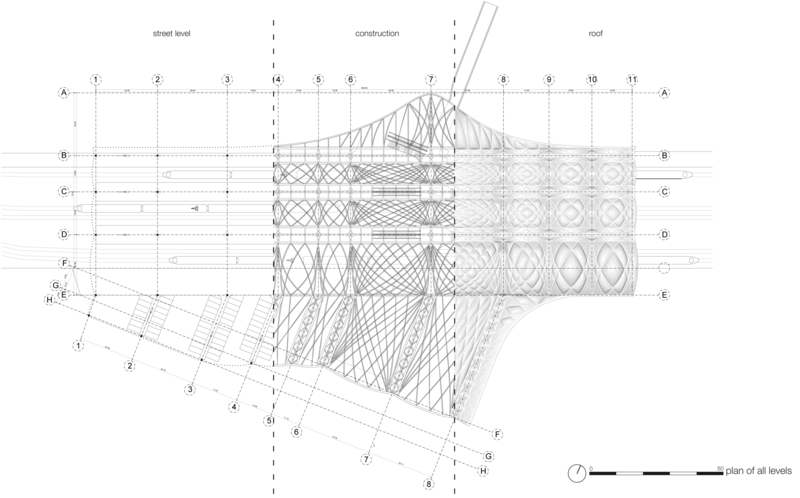 The process of filleting was applied between the neighboring links in the catenary system, producing a continuous roof-surface. Out of the system of vaults the inherent network of geodesic lines emerges, building the structure while simultaneously acting as the tiling system for the roofs surface. 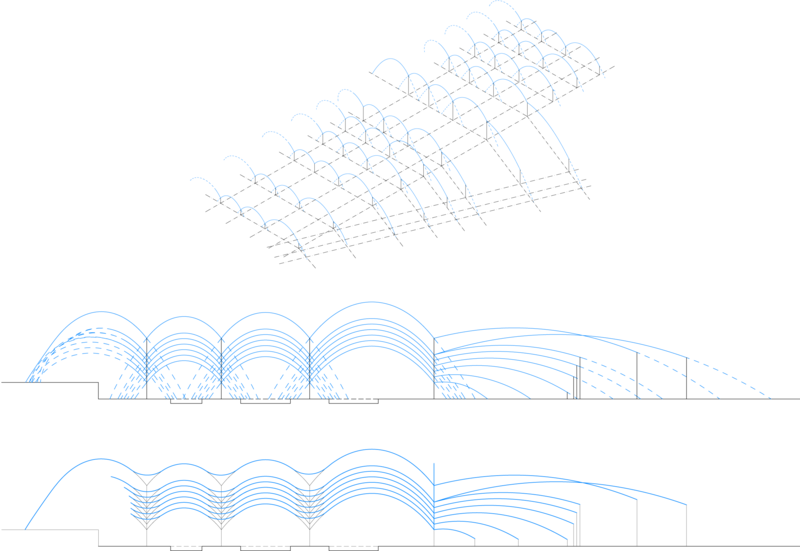 The primary system of the geodesics follows the curvature of the catenary model – and thus the flow of forces. A second layer of these lines is transferred into discrete straight elements which form the tilings of the differentiated field of ETFE-cushions. 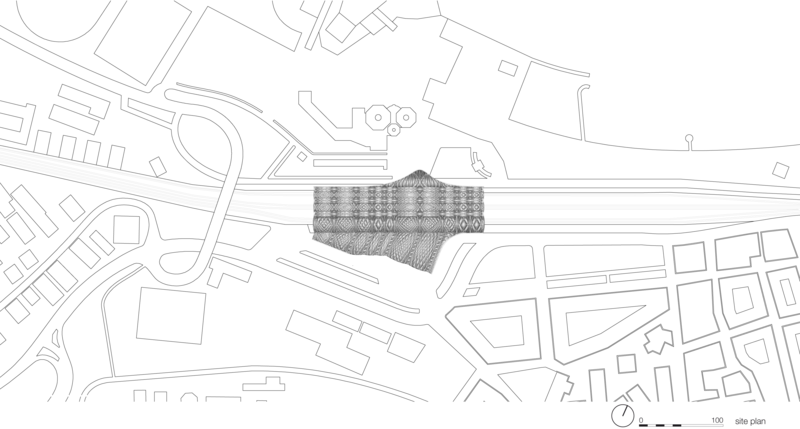 The horizontal forces which accumulate towards the edges of the system of vaults are either lead away into the ground with the help of tension rods at the edge columns or directly by the curve network touching the supporting ground. A eight meter high bridge creates the access path to the tracks as well as a urban connection of the two sides of the railway tracks.